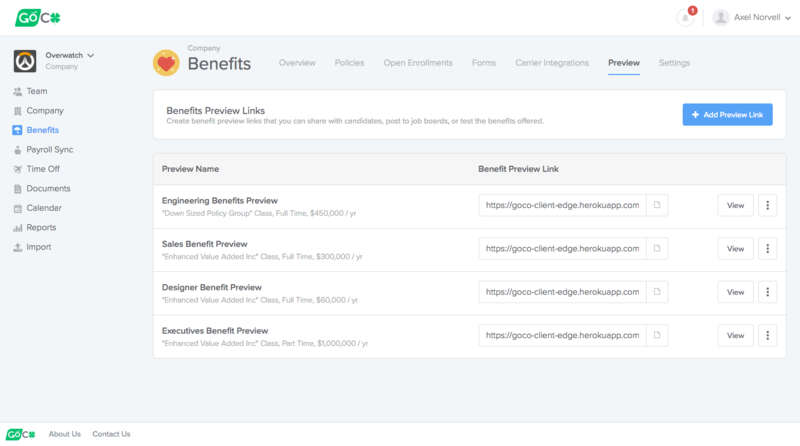 Have any questions related to the New Hire Benefits Preview feature? Check out the Q&A below! Q: What happens if benefit plans or rates change between employees seeing this preview and actually enrolling? A: When an employee views the link, we include a disclaimer that those items may change. The benefit window they see on their profile after onboarding is complete will be the most up to date information. Q: (Admin) Can I see what an employee will see? A: Yes! Feel free to test it out yourself by copy/pasting the link into a new tab and entering some sample data. Q: Does the information an employee enters in a preview transfer over to GoCo? A: No, this preview will not save any personal or dependent data. Only during the true enrollment window (after onboarding) will elections be saved. Q: (Admin) What type of employment information can I specify for a preview link? Q: Who can generate a Benefit Preview link? A: Only administrators with access to Manage Benefits will be able to generate links. Q: Does this link show an effective date of the benefits? A: No, this link does not show the exact date the benefits will be effective or the company waiting period. This information can frequently change and the true data will be on the employee's enrollment window after onboarding. 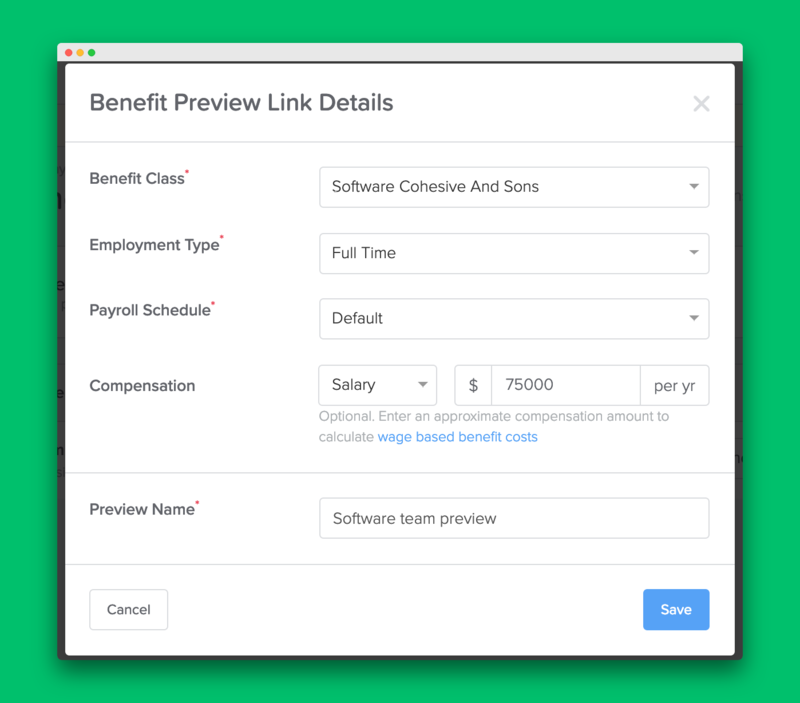 Q: Do I have to create a customized benefit preview link for each employee we intend on hiring? A: No, you can create multiple templates for specific positions/departments. For example, you can create a link for “Engineering” new-hires, and another one of “Sales” new-hires and include these links in their respective job listings. Please email help@goco.io if you have any other questions!